The PHCC-National Association is the premiere organization for the plumbing-heating-cooling professional. Since 1883, PHCC has been the industry leader in promotion, advancement, education and training. The Morris County Chamber of Commerce serves the people of Morris County as a member-involved business organization that provides opportunities to develop, promote, and pursue business interests, foster a healthy economic and political business environment, and promote the benefits of business to the public. The membership consists of over 800 businesses that represent an employee base of over 150,000. The Chatham Area Chamber of Commerce is a united group of business people who work voluntarily to develop and maintain a business environment of prosperity and growth for the community. 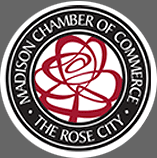 The Madison Chamber of Commerce is a non-profit organization of business and professional people sharing ideas, talents, and resources to promote the economic welfare of Madison. Formed in 2018, Mitsubishi Electric Trane HVAC US (METUS) is a leading provider of ductless and VRF systems in the United States and Latin America. 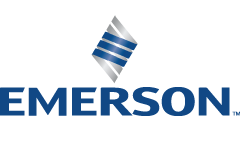 A 50 percent - 50 percent joint venture between Ingersoll Rand plc and Mitsubishi Electric US, Inc., the company provides innovative products, systems and solutions capable of cooling and heating any application from a home to a large commercial building. METUS is a leading marketer of Zoned Comfort Solutions® and Variable Refrigerant Flow (VRF) air-conditioning and heating technology. Systems sold by the joint venture include a wide variety of technologically advanced products designed to deliver superior efficiency, comfort and control. The family of brands supported by METUS includes: Mitsubishi Electric Cooling & Heating, Trane® / Mitsubishi Electric and American Standard® Heating & Air Conditioning / Mitsubishi Electric. More information is available at www.metahvac.com. Bradford White is an Employee Owned American manufacturer of residential and commercial water heaters headquartered in Ambler, Pennsylvania, with its manufacturing facility located in Middleville, Michigan. General Pipe Cleaners, a division of General Wire Spring Co., is a leading manufacturer of high quality American-made drain cleaning equipment. In business since 1930, our third generation family-owned company is celebrating nearly 90 years of service to drain cleaning and plumbing professionals. At the heart of our drain cleaning machines is patented Flexicore cable. It saves you money because the cables last longer. Watch this video to learn what makes our Flexicore wire rope center cables so durable. Lapolla Industries, Inc. is a Houston-based global supplier and manufacturer of spray polyurethane foam insulation, reflective roof coatings and equipment. As an industry leader in high performance building products, we were the first in the world to commercialize the latest state-of-the-art spray foam insulation technology. Our corporate headquarters in Houston, TX is home to multiple laboratories, customer care, technical services and a world class manufacturing plant that produces spray foam and elastomeric roof coatings. We are constantly striving to raise the bar in energy efficiency and sustainable building practices. A legacy of 85 years protecting American homes. Our story begins with Waxman Industries, which has been one of the world's most trusted providers of bathroom and kitchen hardware products and accessories for nearly 85 years. You may not have heard of Waxman before, but you've certainly used one of their products. Having successfully delivered millions of plumbing products to American homes, Waxman charged the company's cutting-edge research and development team to take leak detection to the next level and founded LeakSmart. 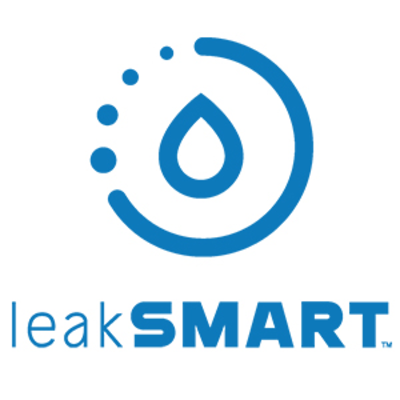 Today, LeakSmart protects your whole house from un-expected water damage. And that's just the beginning of our new mission. Nest is home. Home. It's more than just four walls and a roof over your head. It's where you feel safest and most comfortable. But what if your home knew you as well as you know it? What if it could recognize you, and anticipate your needs? Or even better, what if it took care of the things you forget. Turned down the heat. Turned off the lights. Locked the door. What if your home became - in small ways, then big ones - an extension of you? These aren't just daydreams or someday's. It's what we're passionately building at Nest, everyday. Our mission is to create a home that takes care of the people inside it and the world around it. Because really if you think about it, the world is just one big neighborhood. A resin-saturated felt tube made of polyester, fiberglass cloth or a number of other materials suitable for resin impregnation, is inverted or pulled into a damaged pipe. It is usually done from the upstream access point (manhole or excavation). It is possible to invert the liner upstream (e.g. from the downstream access point) but this carries greater risk. It is possible to install a liner from the downstream access point, upstream to a blind end however this carries the highest risk of all the CIPP installation methods. Little to no digging is involved in this trenchless process, making for a potentially more cost-effective and less disruptive method than traditional "dig and replace" pipe repair methods. Lennox sets the standard for home comfort and continues to push the standard forward with a lineup of more than 60 leading-edge products and a network of more than 6,000 full-service dealers. Rheem Manufacturing Company is an American privately held manufacturer that produces residential and commercial water heaters and boilers, as well as heating, ventilating and air conditioning equipment. 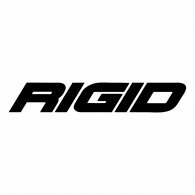 The company also produces and sells products under the Ruud brand name. It is a subsidiary of Paloma Industries. At Rinnai, our passion for constant improvement drives us to create incredibly innovative products for both home and commercial use. Discover why millions of families rely on their Rinnai tankless water heater and home heating gas appliances for total home comfort. 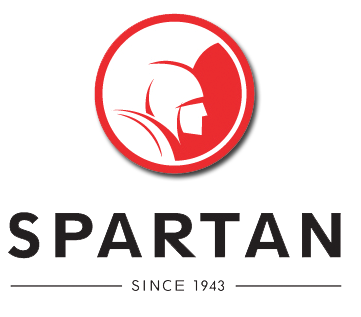 Our drain cleaning machines are Spartan's flagship products. We have been making professional-grade drain cleaning equipment since 1943. Each Spartan cable machine is manufactured to help you tackle the toughest tasks for both residential and commercial jobs. From the heaviest roots to routine household sink clogs, Spartan has a machine designed to break through the clog. Our machines are known to be strong and tough, just like the people who use them. Industrial quality backup sump pumps designed and manufactured in Illinois. That's why we created the Unico System, a high-efficiency cooling and heating system that can be discreetly retrofitted into vintage homes or designed into new construction without the need for extensive remodeling or intrusive ductwork. There's less mess, less dust, less installation time-and no need to "gut" your home for installation. Small is huge. Instead of conventional ductwork, flexible supply tubing is fitted into existing wall cavities, ceilings or floors. Modular air handlers-small enough to fit into closets, attics, ceilings, crawl spaces or basements-are powerful enough to effectively circulate air throughout your home. Even though its footprint is small, the Unico System delivers the same level of cooling as a conventional system three times its size. Good water is essential to good health and a happy home. Water-Right has been creating innovative, highly effective solutions since 1963. Backed by comprehensive support, our expertly designed extensive water treatment product lines include water softeners, residential water filtration systems, drinking water filtration systems, and more. Let us improve the quality of your life. Trusted by plumbing professionals since 1896... For over a century, Wolverine Brass has focused on making the highest quality plumbing products. That tradition of excellence continues to this day. Wolverine Brass has been the trusted partner for generations of plumbing professionals, having manufacturing operations in the US stretching all the way back to 1896. Wolverine Brass continues to stand by its unwavering commitment to produce the highest quality proprietary plumbing products. Wolverine Brass specializes in producing quality plumbing products such as faucets, toilets, ball valves, tubular products, fittings, supply lines, and other specialty products. We pride ourselves in offering a variety of quality items manufactured in our South Carolina plant. Plumbmaster is now the exclusive distributor of Wolverine Brass products. But don't worry, we still offer the same Wolverine Brass products you know and love. Zoeller® Company was founded in 1939 as a family-owned operation making various products, one of which was a dependable column sump pump. 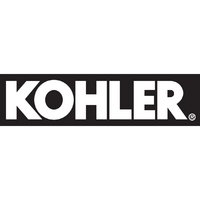 From its humble beginnings, Zoeller® Company, one of the oldest, independently-owned U.S. pump manufacturers, has maintained the highest of quality standards, setting the benchmark for all other manufacturers of pumps. All Zoeller® pumps are time-tested and quality-driven. Our submersible pumps are 100% factory-tested underwater for dependability from the instant they're plugged in. Zoeller® products are sold throughout the United States, Canada and Mexico as well as around the world. With five distinct wholesale product lines, Zoeller® has the answer to all your pumping needs. The Mission of ASHI is to set and promote standards for property inspections and to provide the educational programs needed to achieve excellence in the profession and to meet the needs of our members." 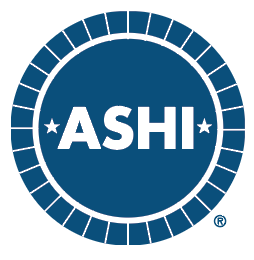 ASHI's highest level of certification is the ASHI Certified Inspector, or ACI designation. Hero Rewards is our way to say "Thank you" for your service. When you work with Homes for Heroes affiliate real estate specialists and local business affiliates, you can save on your home and on every day home-related purchases. ACCA is a non-profit association with more than 60,000 professionals and 4,000 businesses in the indoor environment and energy services community, working together to promote professional contracting, energy efficiency, and healthy, comfortable indoor environments. BPI has become the nation's premier standards development and credentialing organization for residential energy auditing and upgrade work. 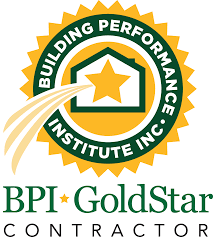 BPI is the premier certification and standard-setting organization for home performance professionals. 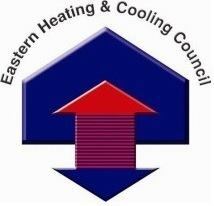 The Eastern Heating & Cooling Council is a non-profit educational organization comprised of HVAC contractors, distributors, manufacturers and other trade allies. Since its formation in 1990, the Council has provided quality technical training to the HVAC community throughout the United States, offering a large selection of courses and seminars. GreenHomes America, The Company We're the #1 Resource for Home Energy Improvement! GreenHomes America (GHA) is the most knowledgeable and experienced home energy improvement company in the industry. To date, we have improved the energy efficiency and comfort in over 15,000 homes while providing unbiased, "how to" information to many more homeowners across the country. The information we provide to homeowners is based on years of experience and it produces results. Habitat for Humanity International, generally referred to as Habitat for Humanity or simply Habitat, is an international, non-governmental, and nonprofit organization, which was founded in 1976 by Linda and Millard Fuller. HomeAdvisor is a digital marketplace that connects homeowners with prescreened, local service professionals to complete home improvement, maintenance and remodeling projects HomeAdvisor also offers. National Comfort Institute, Inc. (NCI) is an organization that provides heating, air conditioning, plumbing and electrical contractors with a focused offering of services and tools to help them improve their businesses, differentiate themselves, grow, and become more profitable. Founded in 1997 and headquartered in Arlington, VA,North American Technician Excellence (NATE) is the nation’s largest non-profit certification organization for heating, ventilation, air conditioning and refrigeration technicians. The BBB Educational Foundation supports a variety of programs for consumers of all ages. Anyone from middle and high school students to senior citizens. They run programs for veterans groups, auto workers, retirees, families of active-duty military personnel and members of the business community. 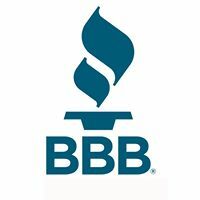 The BBB Educational Foundation is funded through tax-deductible consumer and business donations, in particular, through the generous support of our BBB Accredited Businesses.